"The Slipper 42 started life as the RANCHER 41, for which Tyler Boat Works acquired the molds. We raised the topsides about a foot and discarded the bolt on keel and spade rudder in favour of internal ballast and a skeg rudder. This converted a racing hull into a cruising boat. 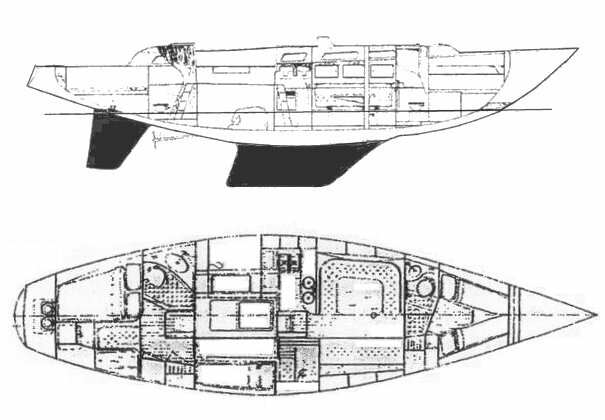 As well as the keel and rudder, I drew the interior layout and the new deck."